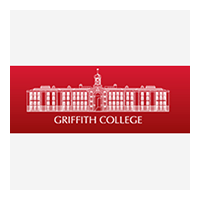 Griffith College Dublin offers higher diplomas, postgraduate diplomas and MBAs for eager students looking to pursue a postgraduate course. Our MSc in Global Brand Management programme is available on either a full or part-time basis over a 1 or 2.5 year period respectively and is focused on developing students’ understanding, insights and skills to enable them to become an invaluable resource to global brands in a dynamic and rapidly changing world. Designed specifically to address a growing need in the industry, the Postgraduate Diploma in Science in Cloud Computing at Griffith College is a 1-1.5 year programme which aims to give students an insgiht into the world of academic and industrial computing research. Designed specifically to address a growing need in the industry, the Postgraduate Diploma in Networking at Griffith College is a 1-1.5 year programme which aims to give students a deeper understanding of communication security, concurrent and parallel programming. Delivered on a full and part-time basis. Our MSc programme in International Business and Law is available on a full and part-time basis over a 1 or 2.5 year period respectively and combines the core operational and organisational aspects of international business management with advanced theoretical and practical legal knowledge.